Steven G. Farber has been honored with an AV Rating for 30 years. He has been a sole practitioner since 1978 with a substantial personal injury, wrongful death, serious accident, white collar crime, criminal defense, and civil rights emphasis. His professional demeanor and the skills that he has developed through his many years of practice serve his clients well in these varied cases. In personal injury, wrongful death, accident, injury, and civil cases, Steven Farber vigorously pursues full compensation for the full amount of the harm you or a love one has suffered. He understands the need for a client to feel that to the extent possible they are made whole, that the wrongdoer is held responsible, and that justice is served. During his career Steven Farber has successfully obtained substantial monetary compensation and relief for his clients and their families. Upon accepting the representation of a client Steven Farber fights and advocates for compensation and relief for those who have been harmed and victimized by negligent acts, corporate and individual irresponsibility, and governmental abuse or misconduct. Steven Farber is not hesitant to confront and hold accountable individual and corporate irresponsibility and insurance companies that withhold fair and full compensation to victims of accidents caused by the negligence of other motorists, businesses, and malpractice. Throughout his career he has challenged governmental abuses and overreaching to vindicate the rights of his clients. In white collar and business crime, drug, and criminal cases, Steven Farber carefully protects and defends the rights of the accused. He uses strategies to help you avoid formal charging decisions. He knows how devastating even the fact of an accusation can be to one who is being accused. Steven Farber and a colleague represented a man who was falsely convicted and serving a life sentence for a murder he did not commit. After years of representation through their efforts that client walked free directly from a courtroom and later won an award of damages for that wrongful imprisonment. This case demonstrates Steven Farber’s passion for justice and defense of constitutional and civil rights. Steven Farber also defends those whose professional licenses are at risk with the same attention to detail, protection of valuable rights, and defense of hard earned professional recognition. Steven Farber understands that defending a professional licensing proceeding requires discretion and hard work to achieve a favorable outcome. It is important to defend and preserve your license, reputation, and professional standing when your license and income earning capacity are at risk. Steven Farber also won a major civil rights case in the United States Supreme Court, Wilson v. Garcia, as a result of successful briefing and his personal appearance and persuasive oral argument in the United States Supreme Court. Winning a United States Supreme Court case is an enormous accomplishment that very few lawyers in the United States can match. Steven Farber uses his skills to manage complex civil and criminal issues for the benefit of his clients. His ability to have mastered both the civil and criminal case process is unique and appreciated. Steven Farber represents the interests of those who need assistance with the most serious types of problems. For example, very few lawyers possess the knowledge and skill to represent clients in complex medical or professional negligence and wrongful death and personal injury cases and at the same time be adept at defending a complex white collar or criminal prosecution. Steven Farber personally assesses a client’s needs. He is aware of the complex relationship of various areas of the law. Steven Farber brings this depth of knowledge to his practice of law on behalf of his clients. Steven Farber believes that clients and the public should be informed. The Helpful Web Links portion of this website provides valuable reference resources for clients, consumers of legal services, and those in need of legal information. Sensitivity to client needs, thorough preparation, effective advocacy, and professional dedication to his clients are hallmarks of Steven Farber’s law practice. The firm overview section of this website provides additional information about Steven Farber’s philosophy, his law practice, and his career. In addition to his AV rating for 30 years, Steven Farber is also recognized in the The National Trial Lawyers – Top 100 Trial Lawyers – New Mexico (Civil and Criminal). 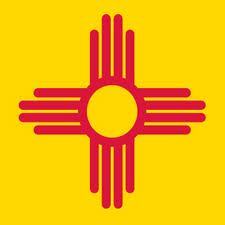 He is listed in the Top Rated Lawyers – New Mexico. He is a Master of the Oliver Seth Inn of Court in Santa Fe, New Mexico. Steven Farber also participates in civic affairs and bar associations. He was an elected member of the Santa Fe City Council. He served on the first Santa Fe Home Rule Charter Commission and in 2012 he was appointed to serve on the Santa Fe Home Rule Charter Review Commission. He served as the Chair of the New Mexico Board of Legal Specialization and on the Board of Legal Specialization during the development of the Legal Specialization program for attorneys offered in New Mexico. ​Unfortunately, at the current time Mr. Farber is not able to offer employment law and employment discrimination consultations, except under extraordinary circumstances, due to his pending and pressing commitments in other claims and cases.